Who Should Take Ownership of Finished Product Inventory Management? Who owns finished product inventory in your business? I mean who suffers directly when finished product inventory runs amuck by level, mix, or availability? Well, we all do, don’t we? After all, if we made it and can’t sell it, what have we done? Or, what if we promised it to customers but haven’t made it? Until we give finished goods velocity, no profits roll into the business meaning, no revenue (assuming when it sells, it gains velocity). Just think of the other side of the coin when it goes to the scrap heap for a write off (terminal velocity). Now let us assume you want all the best for your finished products inventory, with a happy ending of a sale. Who can do that? Is it the CEO? Manufacturing? Accounting or Finance? Sourcing or Supply Chain? So, let’s assume Sales gives finished product inventory a happy ending of material velocity. What metrics exist in the business to measure this material velocity? Most likely not Eli Goldratt’s throughput dollar days, but something coarser such as dollar sales per month, or week or day. Then we measure Sales by region, by product, and by product_region_Sales Rep. If you agree to use these metrics for your business, then you also possess a metric for the effectiveness of executing your material velocity (note execution here means executing a sales plan, not a make/buy execution of the finished product). Taking this one step further, you probably reward Sales Reps for the quality of their execution of the Sales Plan (not always higher sales). Think of it this way, who benefits from sales of the finished product? Well, of course, everyone does, because its revenue is adding to profits. However, does the Shift Supervisor receive a direct bonus for higher sales of finished goods inventory? Does the Master Scheduler? Not where I’ve been. If the finished product mix of inventory is skewed towards high yield products with low forecast volume, who would be the first to point out, “We can’t sell this stuff. Our customers don’t want it.” Again, the answer is Sales. With this last statement in mind of finished product mix, Sales involvement extends to demand management and forecasting of the finished product. Most organizations using the Sales & Operations Process start with a statistical forecast augmented with market intelligence from Sales & Marketing. And if the organization lacks proper forecasting systems, many start with the Sales forecast from manual processes. There, I’ve said it, but what does this mean? How does a Sales Rep/Sales Manager own finished product inventory? What are the benefits? How do you measure success? 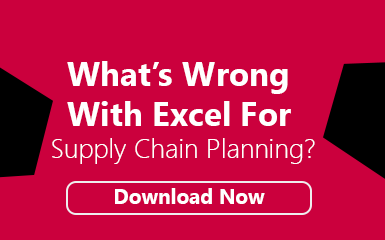 Experience shows they don’t succeed on their own but with the collaboration of Demand Managers, Demand Planners, and Master Schedulers, all harbored in an S&OP Process.